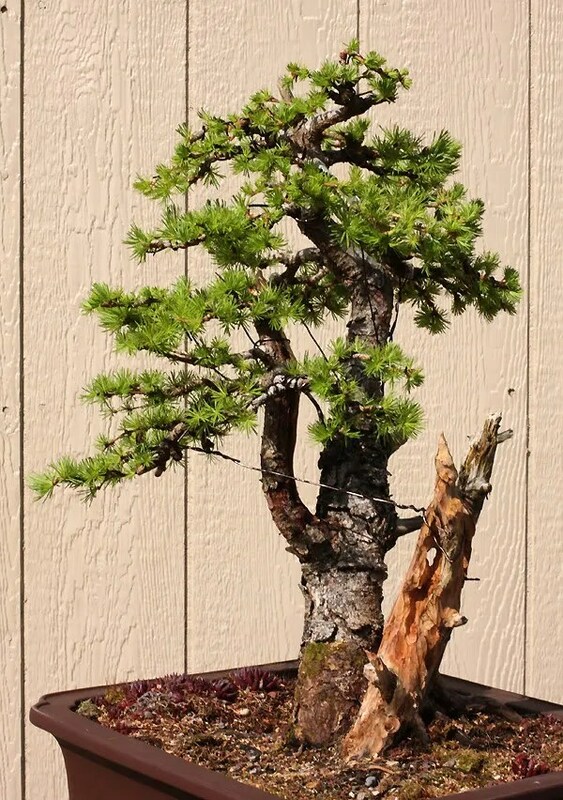 This entry was posted in Bonsai, Deadwood, Design, Progression, Technique and tagged ancient, bonsai, bonsai styling, deadwood, focal point bonsai, gnarly, larch, Larix, progression by ang3lfir3. Bookmark the permalink. I remember seeing this tree when it was offered by Wee Tree and thought the dead sections with the live trunk would be tough to handle – I like what you have done. Have you considered getting some more foliage down and slightly behind the carved section ? 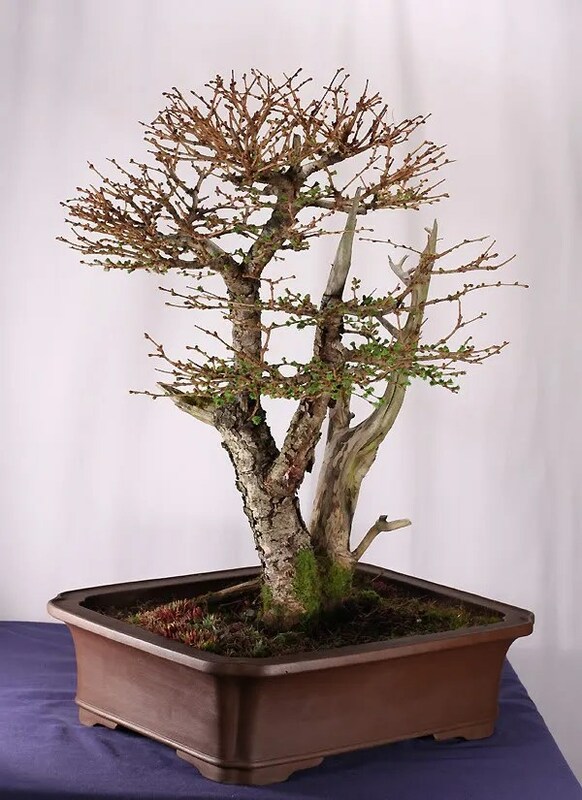 Do you style the left upwards turning branch and the main trunk to create one crown or two ? Thanks! I am glad you enjoy it. I hope to refine the deadwood more over as time progresses to give it more texture and to reduce some of its bulkiness. Each of the two trunks have a top to them.. the main trunk actually has several “tops” so to speak … in the next few years I plan to define them more… some of the fullness you see today will be eliminated over time by creating jin in the branching to reveal an older image. For now those branches are being wired and styled to help create more interesting jin in the future. Eventually the two tops will be in harmony and yet still very separate. The deadwood is actually the trunk of a separate tree and could be removed entirely but I personally think that would take away from what makes this particular tree so different and exciting. Thanks again!! Really glad you enjoyed it.